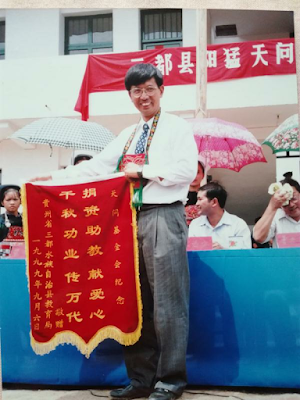 John Cao in an undated photo. His case closely resembles that of North Carolina-based pastor John Cao, who was seized in March 2017 after he attempted to cross the border between China and Myanmar for his ministry, which provided education for minority children in the latter country’s Wa State. Cao had made the crossing many times before with the knowledge of the officials, but they gave him no previous problems, which led experts to believe he was targeted for his faith. He has since been sentenced to seven years in prison on an “organizing illegal border crossings” charge. Both Lin and Cao’s families are advocating for their relative’s release, and ChinaAid joins them by calling on the U.S. government and other international governing bodies to pressure China to immediately and unconditionally release these men and allow them to return home.